Wild Sally Road: Beads -- Messiest Beads!! Here's what we did this weekend. 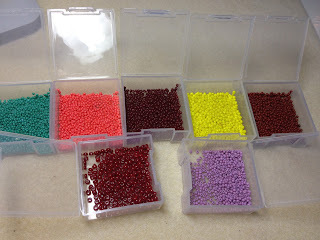 And by we, I mean my awesome husband who fully participated in the madness that is sorting out beads. 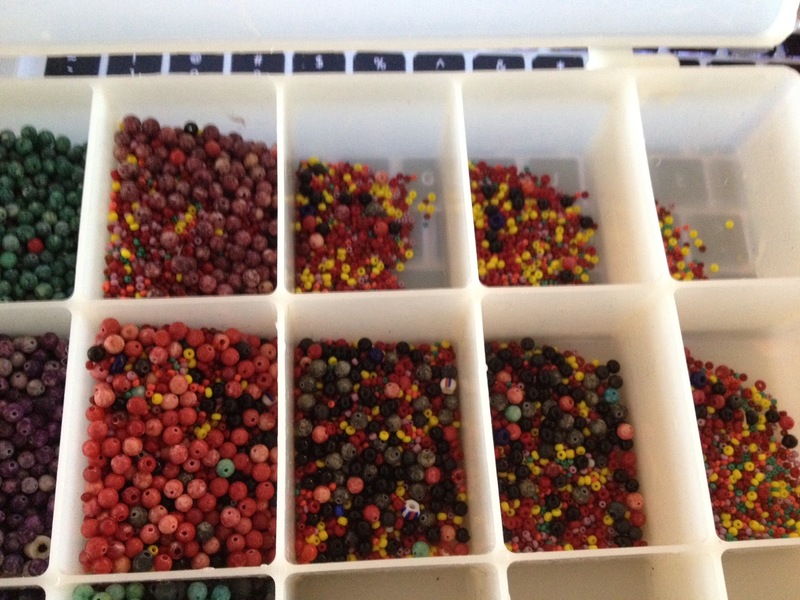 Please notice that those little turquoise and maroon and purple beads are size 15s. Yeah, tiny!! Do we know how to have fun or what??? Just so the fun never ends, here's the box these came out of. 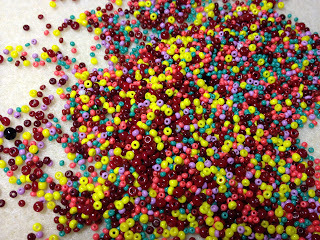 See how many are left to go through? And... there are more boxes just waiting in the wings! Big exciting things in the Anderson house! HA! Sally- you guys did an amazing job so neat and organized. 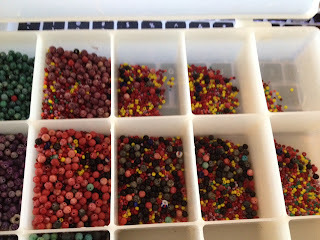 When ever I have to sort beads like that I bring them to school for the kids. 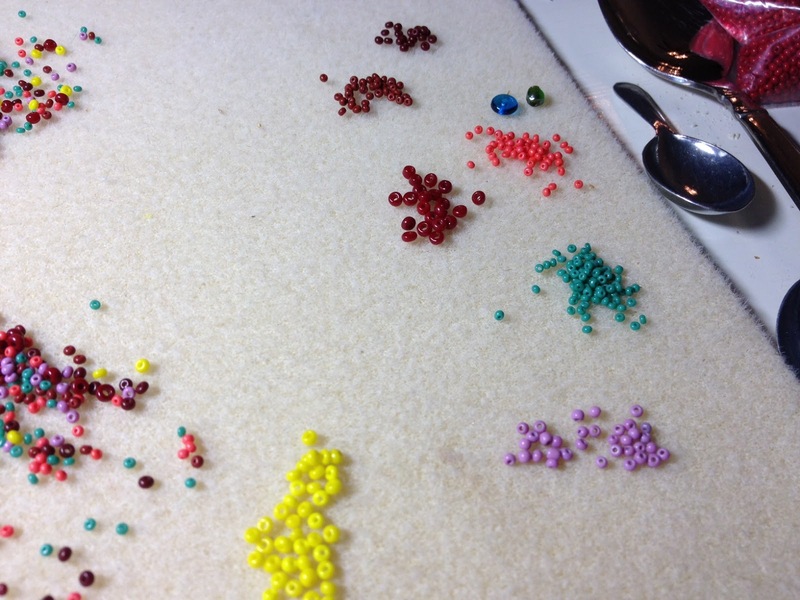 They like seeing what I am working with and I usually make them a little something as a reward. Oh boy, I do not envy your tedious task! Recommend you get up and stretch your arms, neck and back regularly, so you don't get too sore. Sally, what progress! 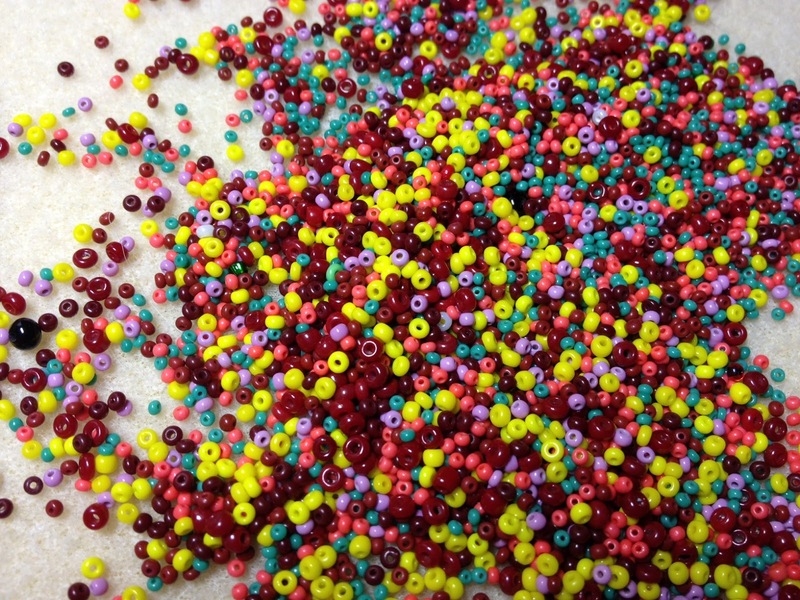 I can only imagine the patience required to pick up and organize all of those tiny beads. 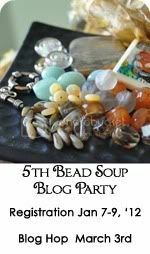 You inherited quite a fantastic bead stash from your daughter; I'm sorry they got mixed up in your travels! I'm glad to hear you had such a great time recently on your CA trip!